This application is a multi platform media player application originally developed by Nullsoft in 1997. The company has since been sold to Radionomy in 2014. The app is notable for having supported third party themes and plugins for a long time, and has enjoyed a vibrant community around the creation of these extensions. In 2013, AOL, who had bought Nullsoft in 1999, announced that this application would no longer be supported by the company. However, soon after it was announced that Nullsoft had been bought by Radionomy, and is still available today. 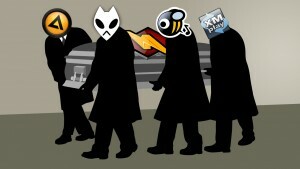 Furthermore, Radionomy announced their intention to improve the application with additional formats and skins. 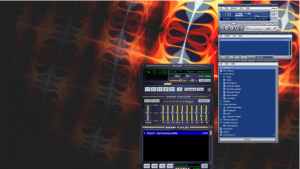 Winamp is free, and has been since its inception in 1997. The application made use of the AMP decoding engine for decoding MP3s, which was free for non-commercial use only. Thus it was released as freeware. This changed to shareware after the AMP engine was licensed shorty after the initial release. This application, when authentic, is safe. However there are many different versions available, and from many different sources. When downloading it would be safest to get the latest version from the official website. If that's not possible, try to use only reputable sources, and check feedback on any releases. As of right now, the app is officially supported, however there have been no updates since 2014. 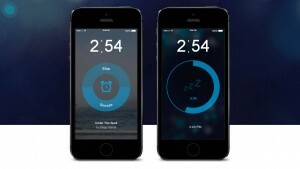 The official website states that they are "working hard to re-energize" the app, and provides links to download it, but little has happened since Radionomy purchased Nullsoft. There is a great deal of community support. Does Winamp Work on Windows 10? Though no specific Windows 10 version of the application has been released, it does work under Microsoft's latest operating system. Some UI features are not supported, such as snapping, however this is an inherent limitation created by the custom skin aspect of the software. All the core functionality is still available. Despite initially being a dedicated audio player, the player does indeed support video playback, in both stored and streamed formats. There are some limitations, however. The app does not natively support the increasingly popular MP4 format, for instance. However a plugin can be installed to add this functionality to the application. Unfortunately, due to the uncertain nature surrounding the app of late, there have been no updates for a number of years (though the software is not officially abandoned... yet). If you are running an older version of Winamp, however, you can update by simply downloading and running the latest version's installer. 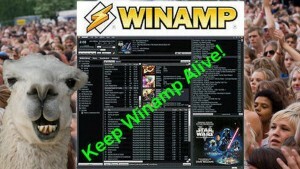 Does Winamp Work with iPod? There is limited compatibility between the player and iPod devices, though it is largely outdated. Any traditional iPod should work natively within the application, however newer iPod Touch style devices only work up to OS4. There are, however, plugins available to add further functionality with newer model iPods on later software. FLAC is an audio format that boasts lossless compression, meaning no information from the original audio is lost, though the resultant file is still greatly reduced in size. Unfortunately, the player does not support FLAC by default, however a FLAC plugin is available which will add this functionality to the application.